The Spanish know how to do food and Malaga is no exception. There are bars and restaurants every few meters selling all kinds of delicious meals and snacks. For the best authentic Spanish food, ask locals or your tour guide for recommendations. Vegetarian might find it hard to find things to eat, but I would recommend El Calafate for affordable veggie eats. Tapas are a staple of the Spanish cuisine. These little bites can be eaten as bar snacks or a full meal. I love the variety they offer, and it especially lends itself to sharing. It can be tricky to find enough vegetarian options though. I love ice cream. Not a controversial opinion, I know, but sometimes there is nothing better than good, cold ice cream on a hot day. 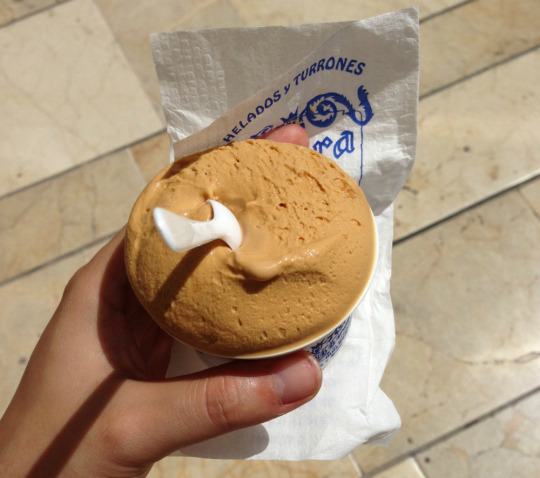 Casa Mira has the best ice cream in Malaga and maybe even Spain, in my humble opinion. I would especially recommend the dulce de leche ice cream for anyone who, like me, loves caramel. 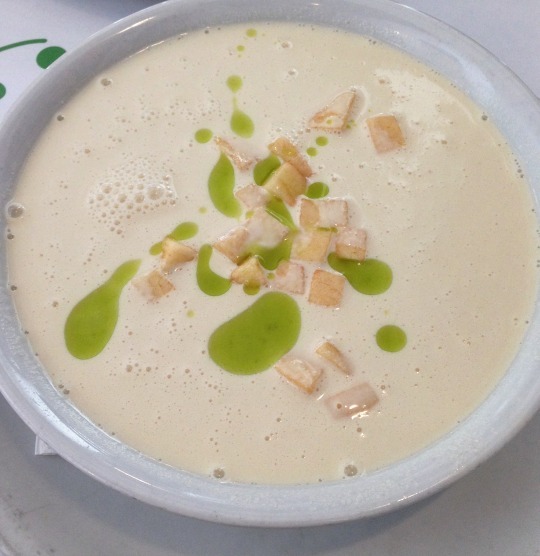 Ajo Blanco is a cold garlic soup. That may not sound appetizing, but it is. It’s refreshing and filling, and pieces of apple and basil oil help cut through the sharp taste of garlic. Malaga is a seaside town and offers some great seafood restaurants. Because what is better than fish and seafood straight from the ocean?